Daniel brings over 16 years of experience in single family development to the Great TN Land Company team. Daniel worked for WCI Communities, Inc in Tampa, FL for the first 4 years of his career, before accepting a position at Southern Land Company (Franklin, TN) where he worked for 7 years. In 2012, Daniel began his own firm called The Addison Group, which focuses on high-end residential design. In 2015, Daniel teamed up with Great TN Land Company to become its VP of Operations. Since that time, Daniel has been instrumental in the creation and development of such communities as Allenwood (Thompson's Station, TN), Gilchrist (Nolensville, TN), Belvedere (Nolensville, TN), Asher (Nolensville, TN), and Darsey (Nolensville, TN). Daniel has a bachelor's of science degree in Landscape Architecture from Mississippi State University. Daniel lives in Thompson's Station, TN with his wife Melia and 3 kids. 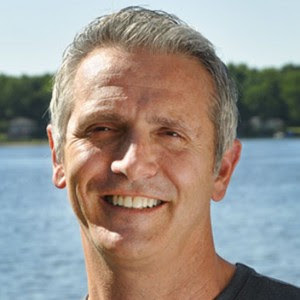 Kevin has been Founder/CEO/Director of several businesses over the last 25 years including a building/developing company in Ann Arbor, Michigan and a long term health care company in Dublin, Ohio. He is currently an owner of a home renovation business in Ann Arbor, Michigan and an owner/director of an integrated building/developing company in Nashville, Tennessee, as well an Owner and the President of Great Tennessee Land Company. Kevin has a BA from Kalamazoo College and an MBA from the Ross School of Business, University of Michigan. Paul has been founder/CEO of several businesses over the last 25 years including two software businesses, a telecoms reseller and two plastics manufacturing businesses. He is currently a non-executive director of several businesses and active in property investment in Europe and Nashville, USA, through GTLC. Paul has a MA from Cambridge University, UK, and MBA from INSEAD, France.